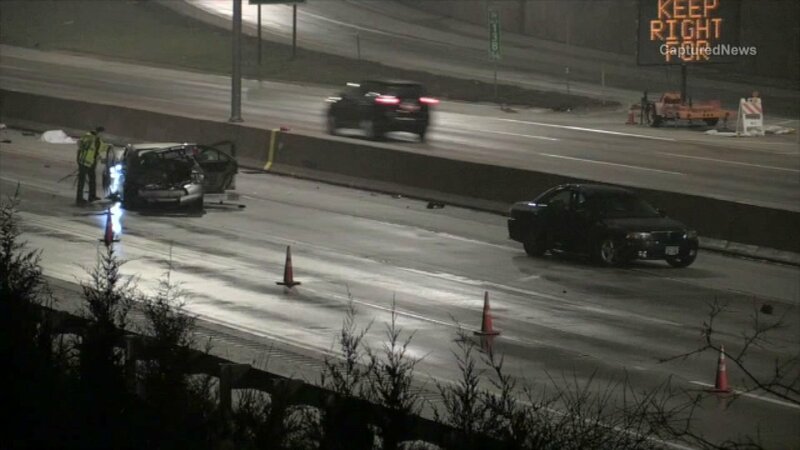 OAK BROOK, Ill. (WLS) -- One person was killed and three others injured after a crash on I-88 in Oak Brook Sunday morning, state police said. The driver of a silver Lincoln LS traveling eastbound on I-88 lost control and ran off the roadway, striking a guardrail at about 2:17 a.m., police said. The silver Lincoln LS then bounced off the guardrail and hit a blue Lincoln LS. A passenger from the silver Lincoln was pronounced dead at the scene. The driver and two passengers from the silver Lincoln were transported to Good Samaritan Hospital. I-88 was shut down at milepost 138 for several hours and has since reopened. The crash is under investigation by state police.